Folks interested in trying out Android 2.3.5 Gingerbread on the discontinued HP TouchPad are in luck, as a couple of days ago developers working on the TouchDroid project uploaded a comprehensive walkthrough detailing some of the many steps required to install Android 2.3.5 Gingerbread on the HP TouchPad. If you’re interested, you can follow the guide after the break. News of the walkthrough comes from Touch-Droid Forums. Flashing Android on the TouchPad is a bit of a lengthy and risky process. It requires considerable skill with computers to follow and there is great potential that you might brick your TouchPad during the operation. ATTENTION NON-DEVS: THIS IS A PRE-ALPHA BUILD, WIFI DOES NOT WORK, WITH ALONG MANY OTHER THINGS, DO NOT INSTALL UNLESS YOU ARE GOING TO BUILD FROM THIS IMAGE. I have decided to release a system dump from my TouchPad which contains a semi-working build of Android 2.3.5 with working touchscreen on the HP TouchPad. Please use this data and the below steps on installation as you see fit. I hope this release will light a fire under the community to work together on a full working port! DISCLAIMER: Redmond Pie is not to be held responsible for any loss of data as a result of the malfunctioning of your HP TouchPad. Step 1: Download system.tar.bz and android.uImage from the torrent here [Direct Link]. Step 2: Before proceeding further, you must set up novaterm. For this, you will need to visit this wiki page and follow the instructions for setting up novaterm on your OS (it works on Windows, Mac and Linux). Be sure to place the two files you downloaded in Step 1 inside the novaterm folder. 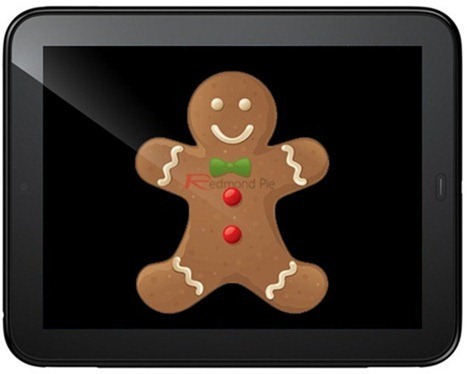 By now, Android 2.3.5 Gingerbread will be installed on your HP TouchPad. You now need to boot into it. Step 12: Keep pressing the Volume UP button on your TouchPad until there is a purple line on the right hand side of the TouchPad’s display. Voila! If you followed the steps correctly, you will now have booted into Android 2.3.5 Gingerbread on your HP TouchPad. Everytime you want to boot into Android, you will need to repeat steps 10 and 11. You can follow us on Twitter or join our Facebook fanpage to keep yourself updated on all the latest from Microsoft, Google, Apple and the web.